This is a diagram of how the TABLOIDER CAT plops all four of its axes collectively onto a single horizontally oriented playing surface. 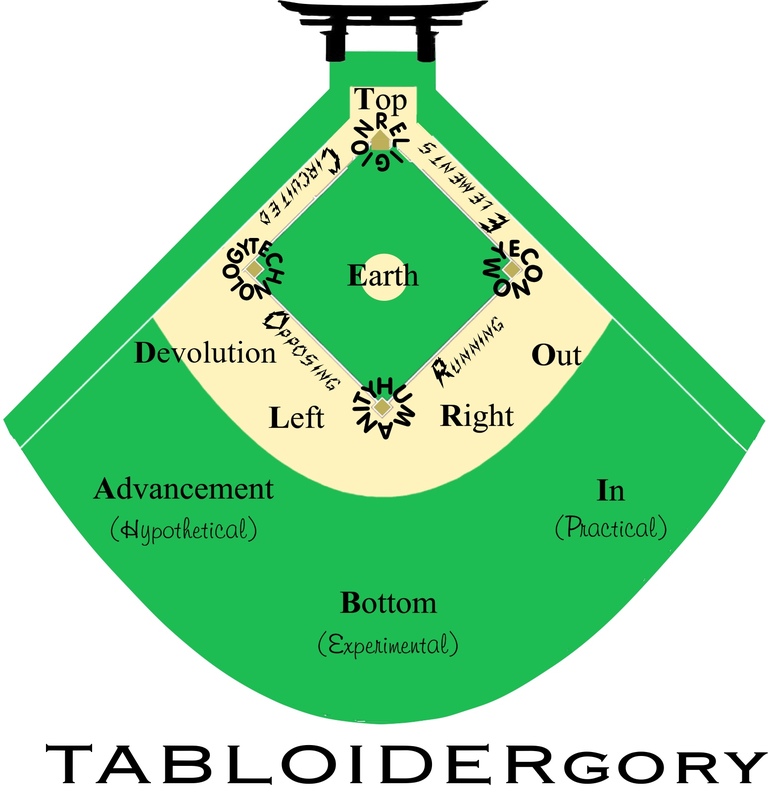 The four axes of the TABLOIDER translate into the bases of the TABLOIDERgory. 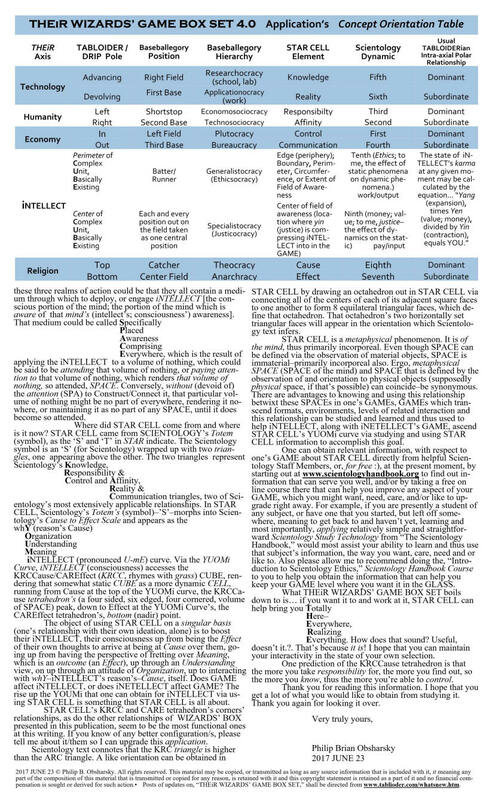 The HEP are terms that I, myself, came up with to represent what L. Ron Hubbard explains as the way that three main different types of knowledge can be separated into three different, "bins," labeled 1, 2 and 3 in his forty-seventh lecture in Scientology's, "Philadelphia Doctorate Course," lecture series, on page 377 of the 2010 copyrighted transcript for that lecture series, in case you are interested in learning more about the reasons' causes for the way the action around you happens. 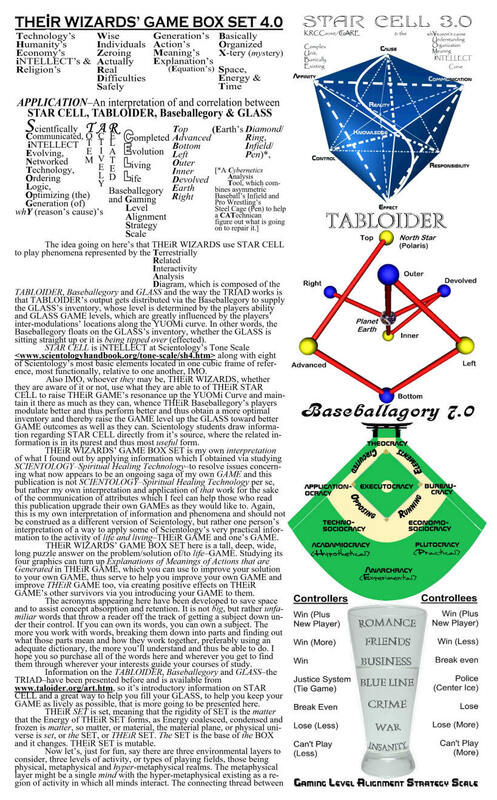 This version presents the change between the manning of the Pitcher and Catcher positions, which has occurred due to the notion that the mediators of interaction on the gaming surface, the Theocracy, should be located closer to GOD than the game's initiators of action, the Executocracy. Plus the CORE has been introduced here. The CORE is composed of the four powers from the team that opposes the players out on the field. 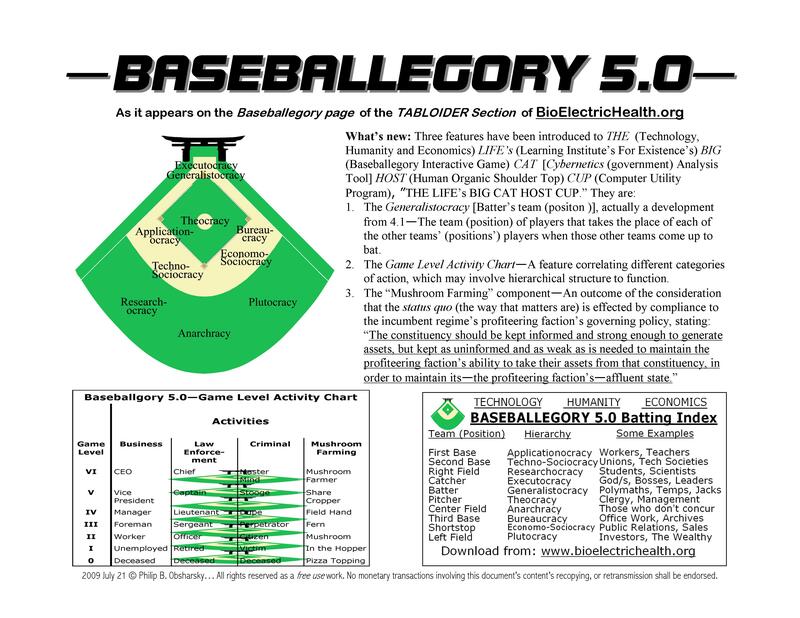 The Baseballegory's fielders are the defensive configuration of a team and the CORE is the offensive configuration of a team. The CORE is the four players of the offense that would be on the field in a potential grand slam situation, which is the situation when one offensive player is on each base and one offensive player is up at bat. Once upon a long time ago, while living in a city far from the one I live presently, I happened to enter a conversation with a gentleman I'd never before met, nor have ever again, to my knowledge. However, during the course of the rather short interchange involved, he told me something which I've struggled to understand ever since. What he said in effect was that the two pillars of the Shinto Torii represent, one each, both chaos and paradox. The gentleman said that their purpose was to get Shinto's followers, if they don't mind this label, to closely associate the two concepts by allowing them entry into Shinto shrines betwixt and between them. Now, even though I've never been able to locate any written information supporting that gentleman's testimony, through the years I've pondered the so iterated relationship quite a number of times. I wondered that chaos is, what paradox is, how they relate to one another, where I was, where I am, where I am going to be. I oriented those ideas around the Torii while obtaining and using information regarding how to get minds their selves working better via using one's own mind, itself. Then, via the use of my own mind's power, I synthesized the idea that there's no reason to believe that a concept must be rooted in stone (authority) to merit investment, but rather that if aconcept was a valid enough on its own, its use would produce its own supporting structure. Having pondered the Torii in this way for such a long while compelled me to use it as the Baseballegory's backstop. Viewing the Torii so situated for a span of time now, it seems to me to fit well, because in that period, I considered that guy's ideas about chaos and paradox and how the pillars relate to the Baseballegory and via working a lot at connecting the concepts of a baseball game with the Torii, the idea came to me that the visiting team's dugout (where the players stay while they aren't out playing on the field) is on one side of the Torii and the home team's dugout is on the opposite side of the Torii. Working these observations together with what he told me yielded the idea that the pillar on the visitor's team's side should represent chaos, because the visitors usually have relatively less familiarity with the particular ball field than the members of it's home team, whose dugout should be on the paradox pillar's side of the Torii, or rather the paradox pillar should be on the home team's side of the Torii, because, all other elements being equal, it's relatively more possible for the members of the home team to become so familiar with the factors involved that that they can, in effect, let their minds' attentions wander to matters of a much wider scope than the members of the visiting team, wherein contradictory phenomena can more easily present itself for their solution. E.G. A possible contradiction that could so appear is, "If it weren't for the money involved, would there be any reason to compete with the visiting team's members, which they are just about the same as the home team's people, just in opposing circumstances?" My point, and the resolution that I've reached so far is that the combination of the two teams' efforts for a better outcome by one team than the other, in the home team vs. the visiting team configuration, relatively speaking, in one space (on one field), yields the manifestation of the Torii as the victor's gateway to the next higher Baseballegory field of play. From that consideration, the bull pen (the area where pitcher's warm up) gates out through the fence behind left and right fields look as though they could be viewed as the entrance points of the members of either one, or both teams to the field, with the possibility that either one, or both teams could enter the playing field from the backstop Torii also. Bullpen Torii could even be envisioned as entrances to the present playing field from lower fields of play. 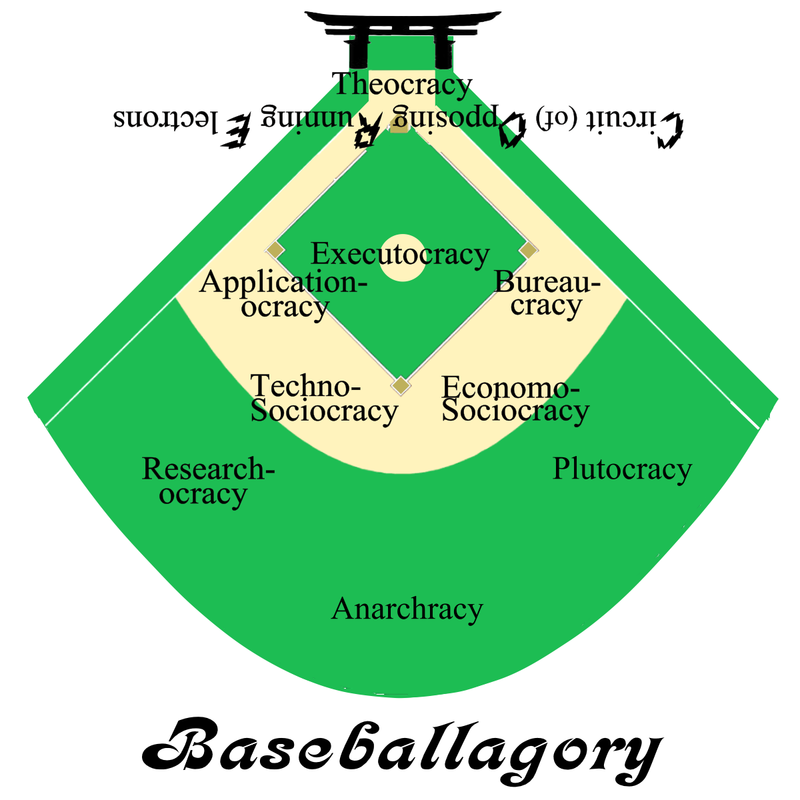 From there, throughout the playing of game, the Baseballegory field could be viewed as all of its players' mutual mental manifestation. Via play then the single Torii could be thought of as being divided by the minds of that game's players. It splits into the aforementioned three entrances to the field and via the division of that one singal Torii, the teams thereby obtain a space to play. 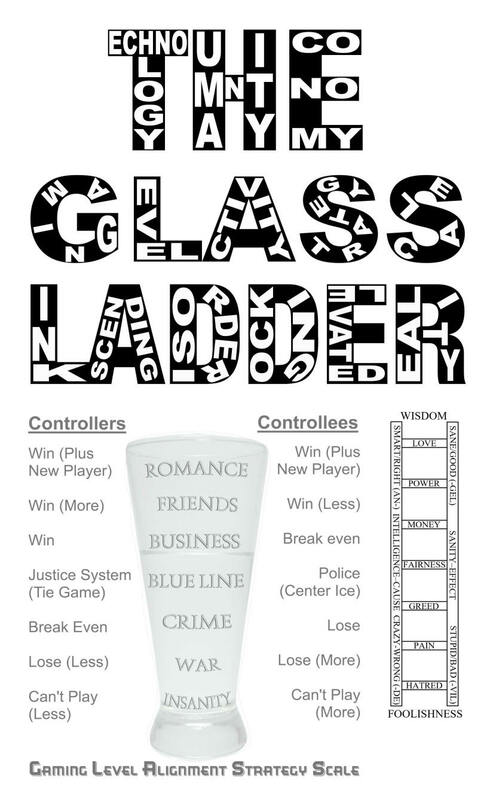 They play game. At the conclusion of game the backstop and bullpen Torii converge back together and fuse into one single Torii again, somewhere on the field around where the most significant action occurred for that particular game. An interesting point to note about the Torii Baseballegory is that the plural of Torii is Torii. At a linguistic level then, like The Three Musketeers, all Torii are one Torii and one Torii is all Torii and games are what opens space inside of them/it. 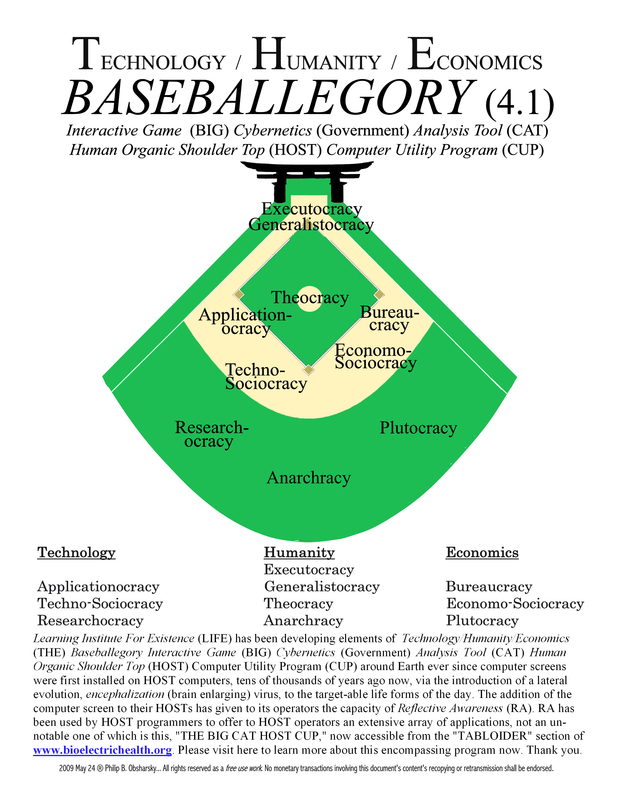 I can't say that I really know which, or what entity, or entities benefit/s most via such an alignment right now, but the Torii will stand at the back of all of the Baseballegory fields that I draw for now--when and where, to me, space (the future) plays with time (the past). This is a beta (test) version of the program. 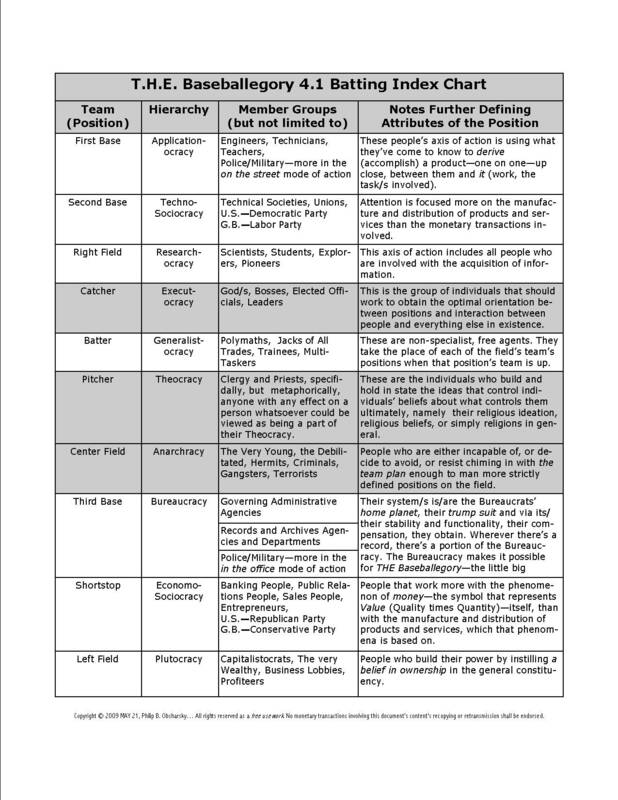 The Game Level Activity Chart is a rough version of what could be developed as a ten by ten chart of all of the teams (position's) and their hierarchies. The examples of activities used in this version have been purposefully selected for the attributes that might best contextualize (couch) the concept of Mushroom Farming (L/S—MFT) on the field of the game. 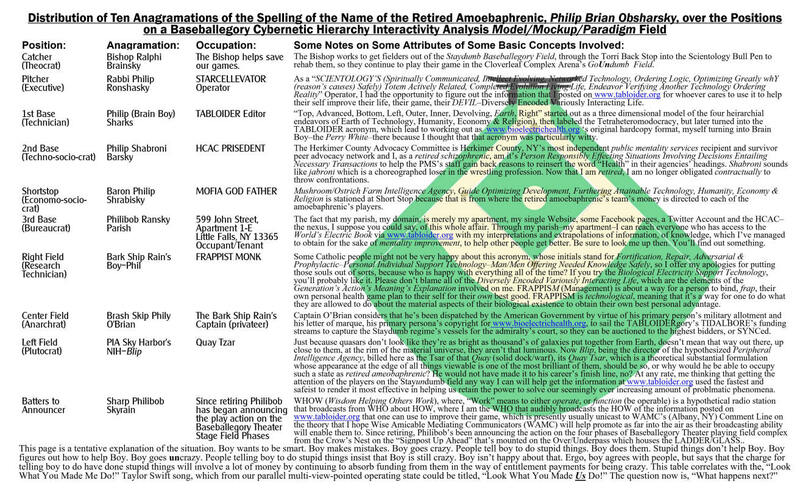 2003-2014®Philip B. Obsharsky. All rights somewhat controlled. This material may be copied, or transmitted as long as any source information that is included with it, it meaning any part of the composition of this material that is transmitted or copied for any reason, is retained with with it and this copyright statement is retained as a part of it and no financial compensation is sought or derived for such action. 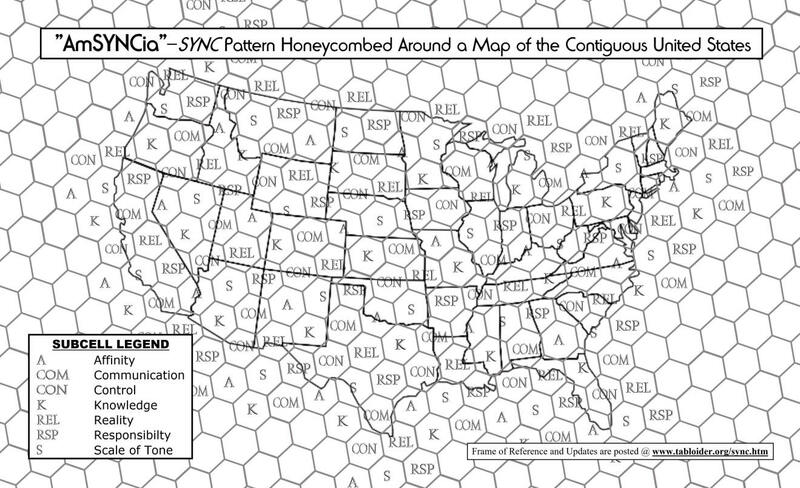 Now I can't really swear to the cartographical accuracy of the overlays on these maps, but I think that they're pretty close, the honeycomb map kind of disambiguating the areas between the circles of the previous version. The maps manufacture has been inspired by the idea that trying to take in too many ideas at one time can possibly overwhelm a person. 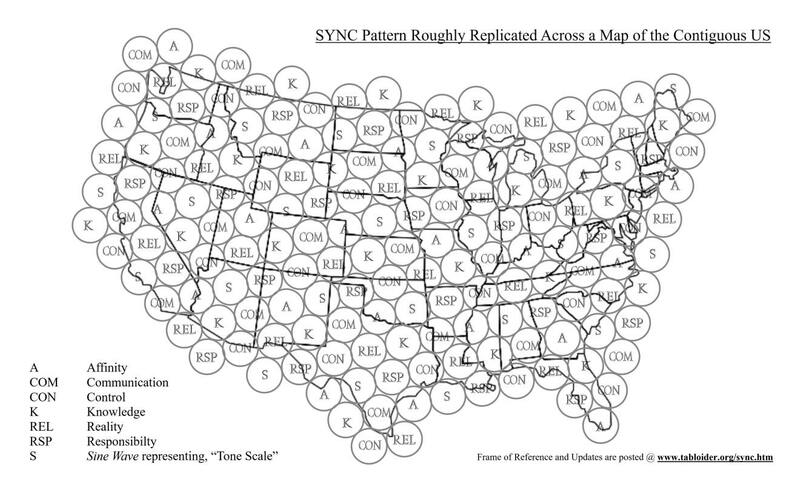 That's why the US has been divided into regions were the local individuals involved can concentrate on defining and studying how their AmSYNCian sub-cellular term applies to the activities they are involved with. 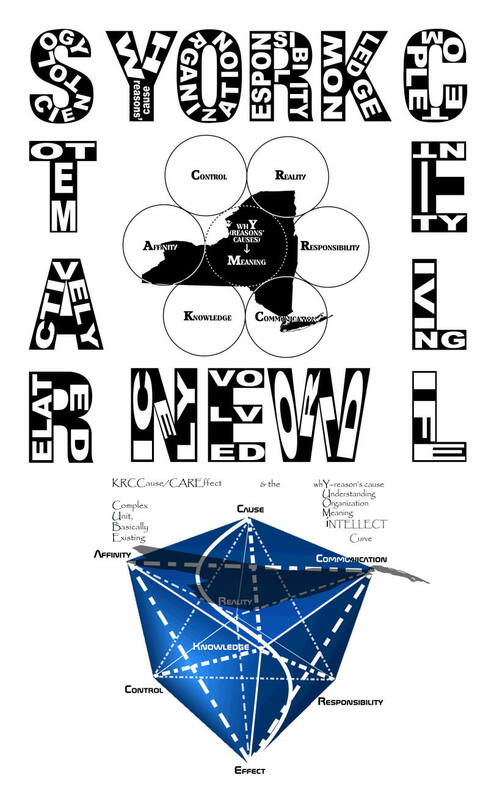 Then once the individual has the ideas connected to their localities term anchored well in their mind, they can then work at how those ideas apply to the terms of the localities that surround their own. 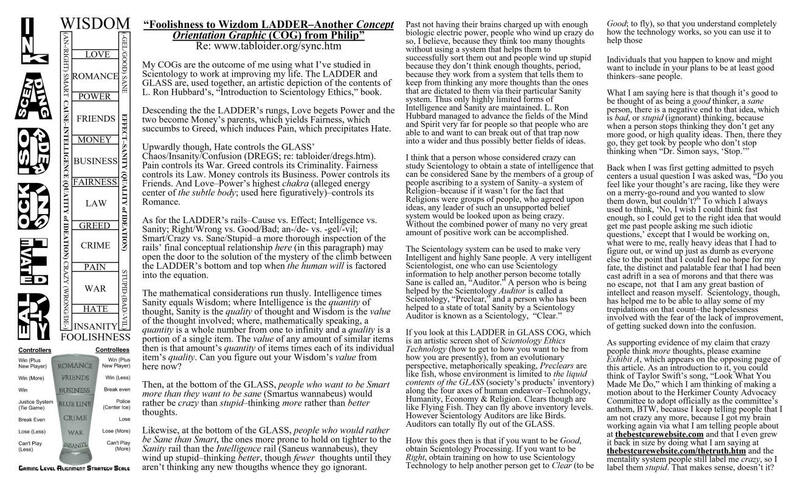 Following is a project that I have been working on to demonstrate the difference between intelligence and sanity. I capitalized on the fact that the PMS staff seems to incline itself to refuse to acknowledge that I managed to get my brain working again, my theory for that being that they don't want to upset the mushroom cart that's spilling their paychecks all over them. My theory goes that there is a mandate in mushroom farm management that states that if the patients get better, there will be no work for the staff, thus if they staff wants a job, it will keep pushing the most debilitating treatments possible, while espousing to be the patient's most beneficent assistant, to keep the conveyor belt rolling to the hopper for the sake of maximum crop yield. Go ahead. Tell me I'm wrong. But then also tell me how so, if you can and want to. I don't believe that you will because I don't believe that even very merely sane people could do that and I don't believe that very intelligent people, would be at all inclined to, because they know what I am going through, between myself and the system people and they know that if I fell they'd be next ones to be posted on the front line against the merely sane people. Ergo, I'm the fool, right? So jolly good for me huh. Thus, I rest my case your honor. Looking at it with the sky background here, this COG looks like it could be above you, but try to look at it as if you were in outer space, looking down at a section of Earth that was over water. Then it could be oriented like a table cloth, couldn't it. Well people say that people are, "Up there," when the lose possession of their ability to animate their human bodies any longer, so why not look at this item as if it were that and you were one of the ones that was up there for a moment. 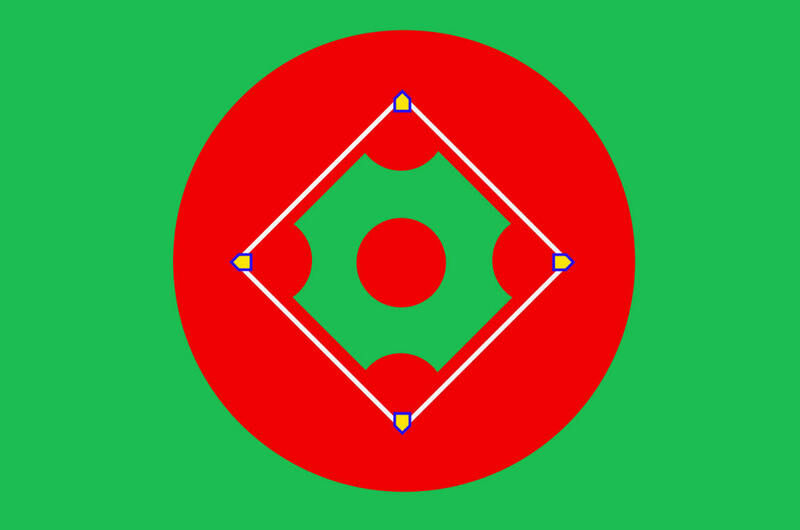 The way that this COG lines up is that, if you took the four home plates of the four GoStayUnDumb Baseballegory Cloverleaf Theater Field Phases and connected them together, with the square that was formed by the four Torii kind of running around the SEF's infield, squared to the edges of the flag and you made the bottom home plate of the SEF the StayUnDumb Field Phase of the four GoStayUnDumb Baseballegory Theater Field Phases, and you followed the other home plates around counter clockwise, just like you would normally run the bases on a baseball field, you would align the four main categories of human endeavor--Technology, Humanity, Economy & Religion (there at the bottom home plate) with the home plates of the SEF. 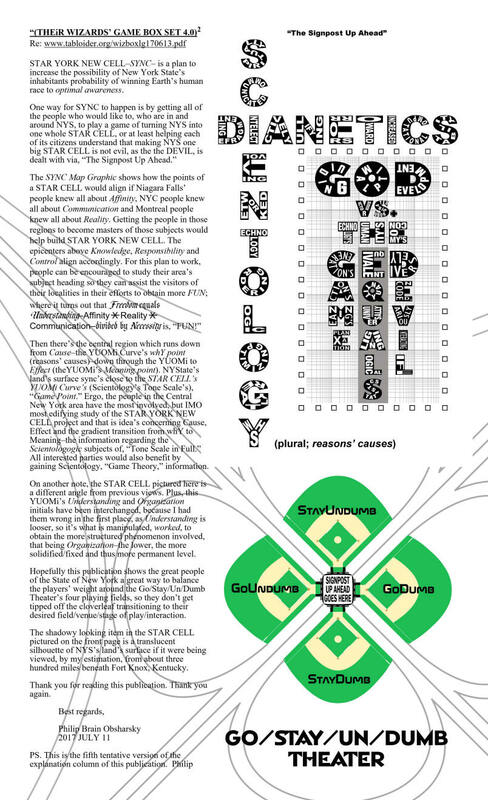 That would make the SEF's Pitcher's Mound the center of the eye of the storm so represented, which would also align as if one was looking down into the GLASS, which now formed the edge of the SEF's Pitcher's Mound, which, if you wouldn't mind interlacing the STAR CELL at a more metaphysical angle, you could align the YUOMi curve down through the SEF's Pitcher's mound also, though I can't say that I know at this moment exactly how the other various aspects of the SYNC align to the SEF. But I do have an idea of how the SYNC's outer aspects might align with the less vertical poles of the TABLOIDER, which we might get to go into at a later moment than this one. So here's a look at a bigger picture of the game which you might be willing and able to imagine yourself in than you are probably accustomed to viewing, at any rate, which is offered to you in the hopes that you will be better at playing it while you are in it--the game that you happen to be in, that is to say. I've performed an executive action as the PRESIDENT (Person Responsibly Effecting Situations Involving Decisions Entailing Necessary Transactions) of the Herkimer County Advocacy Committee Inc www.facebook.com/hcacinc to make the SEF the HCAC's Flag. The SEF COG is also posted at the bottom of the MOFIA www.tabloider.org/mofia.htm page if you would like to read more about it.